What’s It Like To Skydive? Ask anyone who’s never done it what it must feel like to intentionally throw themselves out of an aircraft several thousand feet off the ground. Most will have similar thoughts, usually based on the physical. All those feet-on-the-ground folks look at that apparently terrifying drop and think that it must feel like the moment the roller-coaster takes the plunge down the almost-vertical track, having balanced precariously at the top for a split second. Or, it’s like the stomach-lurching seconds racing up and over a hump-backed bridge in a fast car. In other words, that fun for some and horrid for others feeling of leaving your innards behind somewhere, while the rest of you hurtles onward; the two bits hopefully meeting up again at some point soon. Well, actually, skydiving feels nothing like that. The technical reasons why are both complicated and pretty straightforward, really. It’s all to do with physics – don’t groan and run away, the simple answer is only a couple of sentences! On a roller coaster or going over that bridge, your body is subject to gravitational force (G-force) because of the acceleration involved. Changing direction suddenly at speed induces that stomach-drop feeling that so many people don’t like. However, the effect of gravity by itself doesn’t produce a g-force, so there’s one reason why your stomach stays exactly where it should when you jump out of a plane. When you skydive, you’re subject to the effects of gravity alone, so there’s no G-force to worry about. Add to that the fact that the plane you jump out of is already travelling at not far off the speed you’ll be going downwards after you’ve jumped, and you’ll see that your body won’t really notice the difference. So, what does it feel like? Ah well, that’s the question. Ask a hundred first-time skydivers what it felt like to them and you’ll get a hundred different answers. Usually, that’s because the replies you get will be based on emotion and everyone feels emotions differently. Skydiving is such an amazing and unique adventure, it’s hard to describe in mere words. Physically, skydiving is something you will experience with almost all of your senses. Visually, you’ll be seeing the beautiful Earth from a vantage point you’ve never been in before. You might have flown in an aircraft and looked down at the ground below, but there’s always been something between you and the view before. When you skydive, there’s nothing but air. You’ll see the landscape in amazing detail and with a vividness and clarity you’d never believed possible. During the freefall, your downward speed against the wind resistance feels like a pressure on your skin. It’s not uncomfortable pressure, it feels like you’re being supported and you can still move with no restriction. The temperature will be quite a bit lower at the jump altitude than it is on the ground, even on a very hot day, and you’ll have a wave of cool air flowing over you when you leave the aircraft. Talking of the air, you won’t believe how sweet, fresh and pure it is. Being a couple of miles above the ground means you’re a couple of miles away from all the smells down there too. What you hear, to begin with, is the sound of the wind rushing past. It’s been described as a bit like the sound you get from blowing into a microphone – not painful or unpleasantly loud, but you won’t be able to chat over it. Once the parachute opens, it’s completely and wonderfully quiet. A deep, blissful peace. This is where it gets really subjective, of course. Everyone has a different perspective on the emotional effects skydiving has on them, and will use many different words to try to explain the feelings it evokes. 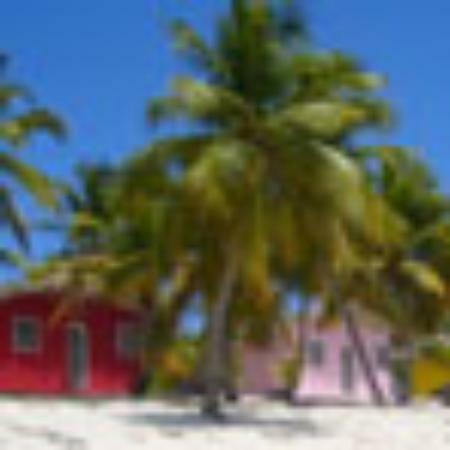 It’s a hugely powerful experience – for some it’s amazingly life-changing, for some it’s wonderfully confidence-boosting, for all it’s totally unforgettable. A lot of people with paralysing fears of heights or flying have used skydiving to help conquer those fears and put them into perspective. Your fear will disappear with knowledge and understanding – the achievement and sense of accomplishment you’ll feel will be with you for ever. Yes, most people are nervous about their first skydive – it would be strange not to be. It’s an unknown which you can’t really imagine either, and humans have a huge self-preservation instinct, so a few nerves are to be expected. 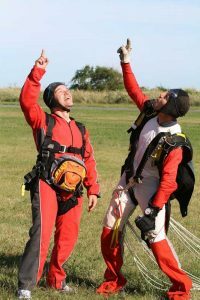 The great thing is that you’ll be doing a tandem jump strapped to a superbly-qualified and expert instructor, who has a vested interest in making sure that everything is just so and perfectly safe – he or she wants to get down in one piece too! They’ll take care of all the technical stuff, leaving you to just enjoy the ride. And it’s actually over in a remarkably short time. According to most first timers, they get their feet on the ground and want to get right back up there and do it again. Words can help people understand what experiences feel like, but there’s absolutely no substitute for actually getting up there and feeling it for yourself. If you’d like to experience something totally amazing, kill a few fears, rack up an impressive achievement, raise much-needed funds for charity or just do it for the hell of it, give us a call on 01948 841111 or use our contact form and book your skydive today! 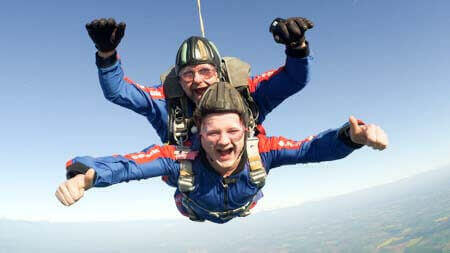 Skydivers have been jumping at Tilstock Airfield since 1964. Skydive Tilstock Freefall Club Ltd. is a not-for-profit members club that provides parachute training and equipment at Tilstock Airfield. A separate operator The Parachute Club Ltd. supplies flight-only services. ...From my husband. Did a tandom skydive with Chris. Everyone was so friendly, they all made you feel so at easy. It was the most amazing thing I've ever done. The staff were fabulous. Amazingly professional and supportive. Couldn’t recommend enough. Dan Griffiths was particularly wonderful!